Management as well as contributing to the book; The Ultimate Guide to Digital Marketing in a Data-driven World. He has also been included in the “Top 100 most followed SEO Experts on Twitter” and “41 Rising Stars of SEO you should follow“. Mike is likely to be your first contact at High Profile Enterprises. He is passionate about the potential that SEO, Content and Social can bring to every business. Mike will make sure that you understand every step of the process and that you are never in the dark on how the various elements of any strategy work together. 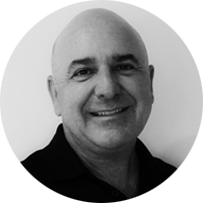 Mike will walk you through a website SEO audit and identify key areas where improvements can be made to efficiency, technical compliance and performance to give your business a healthy online foundation. From here he will work with you to create a bespoke strategy that will take into account your unique business nuances and will explain trends and growth in easy to understand analytics reports. Mike works on bringing all the various threads together – technical compliance, Google’s changing requirements, website optimisation, social optimisation, content marketing and link acquisition. He will also supply many of the resources needed to help you understand what can be a highly confusing space. Before Mike discovered and became obsessed by the world of web marketing a few years back, he launched several successful new businesses and took on roles in management, marketing, sales, training and buying in the music industry. When he is not glued to his work station you might find Mike surf-casting on Ohope Beach, spinning classic LPs, preparing a favourite meal or indulging in a good coffee or craft beer.